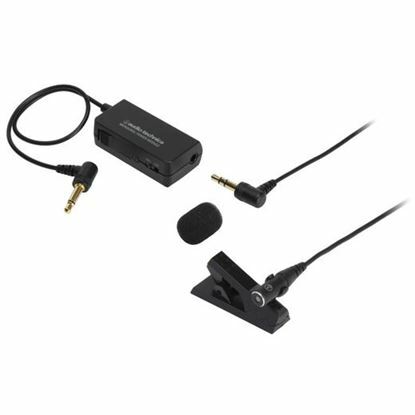 Lapel microphone for computer recording - includes battery power supply. The RØDE HS2 is a low profile, ergonomic and lightweight headset microphone that provides clean, clear and pronounced audio for any application where the microphone needs to be in close proximity to presenter's mouth. The perfect lapel sound solution. When your personal mic needs to be discreet. Hard to see, but captures everything. Tan with P3 connector only. Miniature condenser microphone for nearly invisible use. 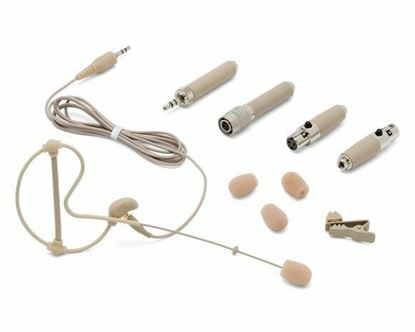 Samson's SE50 Earset Microphone is a low profile, micro-miniature condenser microphone with a 2.5mm capsule that provides outstanding audio reproduction. It features a moisture resistant design, making it perfect for presentation, fitness and other vocal applications. Make sure you are heard onstage with the NEW Sennheiser XSW Series.